Mobile shopping is fueling the trend of ecommerce growth. Currently, shoppers can order almost anything they want 24 hours a day, on the go, from hundreds of virtual shopping malls and receive their orders the next day. According to new forecasts by Goldman Sachs, global mobile commerce sales will reach $626 billion by 2018, just shy of equaling total global ecommerce sales for 2013 of $638 billion. These trends are impacting ecommerce fulfillment like never before. Fierce competition and increased customer demands are putting the pressure on fulfillment to get to a same day delivery standard that will create a survival of the fittest environment for online retailers. These ecommerce demands are changing the nature of the supply chain infrastructure. Fulfillment companies used to rely on pallet movement and full case selection but now must adjust to fluctuating volumes of online orders more quickly. In addition to deliveries of pallets to stores on a weekly basis, retailers must factor in split case picking, item level touches and multi-line item sortation. To better manage this demand, fulfillment processes have adopted with flexible automated warehousing and distribution that helps them to efficiently reduce turnaround time and cater to multi-channel ordering. Click&Pick, introduced by the company Swisslog is a high speed order fulfillment system that uses all three dimensions of a warehouse to provide the highest possible inventory storage density, reducing a typical space by 60 percent compared to storing SKU’s in static bin shelves. Their vertical storage cube allows Click&Pick to utilize every cubic foot of a distribution center from floor to ceiling. Product stored in 100,000 square feet of carton shelving is condensed into 25,000 square feet, including picking stations. High speed robots run around in rafters to pick customer orders quickly from a densely packed product inventory enabling orders to be filled at least five times faster than manual shelving systems. The system is self-optimizing with slower moving SKUs descending to the bottom of each stack as faster moving SKUs continually move to the top of the stack to increase productivity. The number of robots can be adjusted to meet increased demand during peak fluctuations and ergonomic workstations allow pick rates that exceed 1000 pieces per hour. Consumers are no longer just buy clothing and small electronics online. Now, they are feeling more comfortable buying large ticket items like home furnishings and appliances. The introduction of Passbook with the iPhone 5 has improved mobile shopping capabilities bringing about a new age of impulse buying for all items, no matter the size. Fulfillment processes now must account for this demand with more warehouse space and more efficient layouts that accommodate special handling of these high volume large item orders. The Internet has opened trade channels to developing countries that have long been craving products from around the world not easily accessible to them otherwise. This enables retailers of all sizes to tap into a global market once reserved for only the biggest players. Also, online retailers can now more easily access products that have been hard to find and add them to their retail offering. Having fulfillment centers that can transport inventory to and from any country may be the key differentiator for retailers wanting to capture these consumers. Accessing cross border ecommerce in multiple countries currently requires merchants to work with a range of currencies. Digital currencies like Bitcoin will play a large role in helping to reach these markets by streamlining the order process and facilitating a seamless world marketplace further fueling the need for efficiency in fulfillment. Cloud based fulfillment software seamlessly integrates with major shopping carts and can be optimized for mobile applications creating a smoother transaction for customers. This gives retailers a better view of the overall supply chain since large amounts of raw data can be aggregated and easier translated into actionable information. Though data breaches have slowed the transition to this technology, additional security techniques have been added to protect the data within the environment. One such procedure involves data encryption which makes the data indiscernible to those without the key required to decrypt the information. As more security precautions are added, more retailers will move to a cloud based system. As online retailers continue to offer shipping deals as competitive value propositions, they will resort more to regional fulfillment centers to cut shipping costs while speeding delivery to their customers according to a study by FFP Global. The “try in store” then buy online method is becoming more popular with retailers like Home Depot building in more flexibility in how it fulfills orders to businesses and retail customers. In recent years, Home Depot has introduced several new methods of fulfillment for online orders including the launch of several new distribution centers. The new Atlanta location will primarily handle orders shipped to customers in the southeastern United States with the two others planned for California and Ohio slated to open by next year. The three centers together will add a combined total of approximately 4 million square feet of warehouse space dedicated to filling online orders within in each of their respective regions. Each new distribution center will have the capacity to handle up to 100,000 SKUs. By integrating its online orders with their growing distribution network, Home Depot will save time from order to delivery. 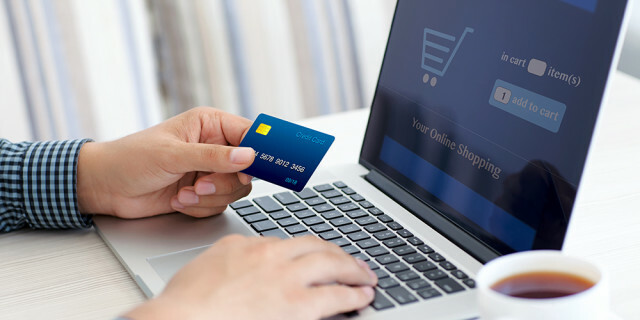 A recent internal study found that 54% of their online buyers have had items shipped to a store and of those, 43% make additional purchases when they arrive in store to pick up their order. Overall, major e-tailers will benefit the most from these trends in ecommerce. Amazon already has the ecosystem, infrastructure and technology to keep growing while eBay has the benefits of category share and its ability to enable commerce for small merchants. Over half of Amazon’s consumers shopped via a mobile device in the fourth quarter of 2013, while PayPal saw 115% growth in total payment volume on Thanksgiving and Black Friday. However, Goldman Sachs predicts that in the future, there will be a shift away from these multi-brand ecommerce sites to curated marketplaces like Zulily, Asos, Yoox and VIPshops as well as Etsy, Zalando and OneKingsLane. These kind of sites enable shoppers to discover smaller vendors that offer a more personalized experience.